Self-compassion means taking an attitude of kindness and acceptance towards yourself – not towards the perfect self you want to be, but towards the person you are now. The practice of self-compassion is a recent trend in the world of mindfulness and its value in relation to anxiety, depression, self-acceptance and self-development has been underlined in many research studies. For people working in the area of mental health, self-compassion can be truly valuable for both clients and the professionals themselves. Perfectionism, the inner critic and self-judgement are themes that often emerge in the clinical space and in any form of personal development work. Having tools, interventions and coping skills to cope with this can support us in our professional and personal work. Mindfulness is an essential component of self-compassion as it gives us the space and awareness we need to help us to cultivate a kinder attitude towards ourselves in the present moment. This workshop aims to support participants in honing the art of self-care, self-compassion and self-acceptance in both the personal and professional settings. Padraig holds a Diploma in Counselling & Psychotherapy, a Certificate in Buddhist Psychology and a Certificate in Choice Theory. Padraig is a counsellor, broadcaster and columnist with The Irish Times, The Irish Medical News and The Evening Herald. His latest book, Kindfulness, on the subject of self-compassion is published this year by Hodder & Stoughton. Padraig has used mindfulness in his own life and with clients for almost two decades. He has taught mindfulness to nurses, doctors, search and rescue crews, and public audiences. 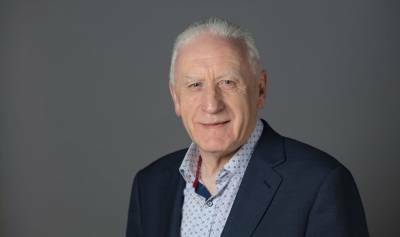 He has been training counsellors and psychotherapists in mindfulness for many years in addition to lecturing on IICP’s MA in Pluralistic Counselling and Psychotherapy.